Voice control is everywhere these days, but to hear people effectively from every direction, devices like Amazon’s Echo need to have a whole collection of microphones in them — but they take up space, require extra processing power and restrict industrial design. 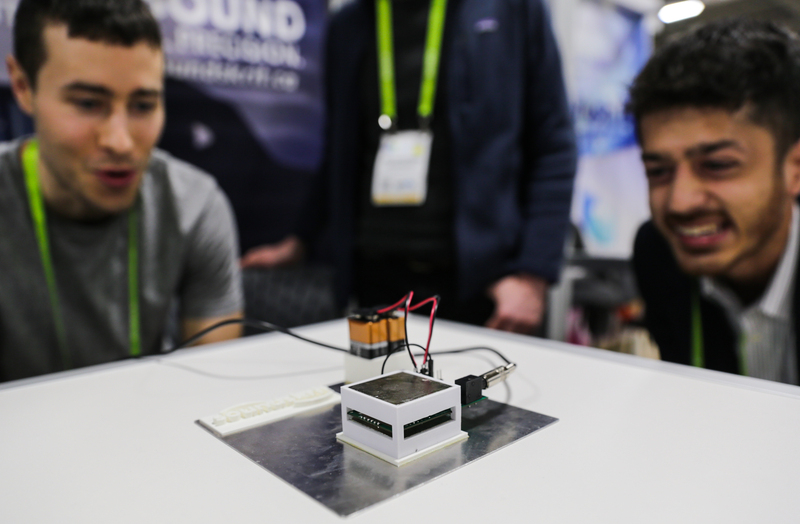 Soundskrit is a brand new company that aims to replace those many mics with a single one that can clearly hear and separate sound from multiple sources and directions. The Soundskrit device easily tracked two separate voices speaking from different directions simultaneously, quickly providing independent recordings and transcripts of each one; you can see a video demo here. It could just as easily ignore one voice in order to hear another better, or focus on accepting sound from a single direction, such as in front of a camera. I’m sure you can imagine half a dozen situations off the top of your head where such a capability might be useful: smart home devices, video recording, meetings and conference calls… anywhere you or a device wants to hear one sound but not another. This can already be done, of course, but it’s done in a rather clumsy way, by taking the signals from multiple microphones and applying algorithms to sort out the noise, compare waveforms to determine which is stronger whereas to get an idea of direction and so on. It’s complex and ends up reducing the quality of the recorded sound, especially in the lower registers. The design of the company’s prototype microphone was inspired by insects, many of which have highly acute “hearing” that’s accomplished by sensing the way air moves across tiny hairs or other pressure-sensitive structures. 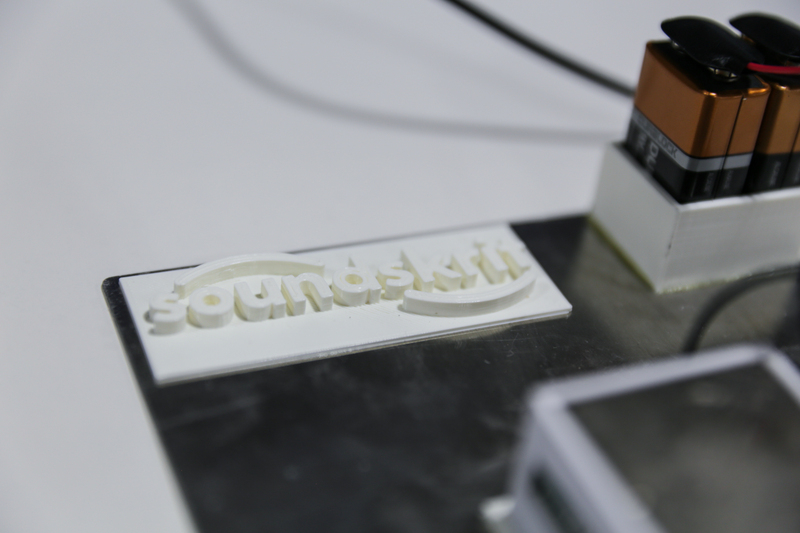 Soundskrit’s tech does a similar thing with a special membrane on a custom chip. Sound enters from all sides and, based on how it vibrates the membrane, its origin can be determined with a pretty decent accuracy. And it does it without compromising the quality or tone of the sound. Research on this topic goes back many years, but these students decided to make a go of turning it into a product after encountering it in their studies. They’ve raised an $800,000 (Canadian) seed round from TandemLaunch, a Montreal-based incubator that focuses on commercializing research. For now the team is just getting started and the device is far from being in a state that could be included in a real product. But once it’s miniaturized, tested and so on, it’s a fair bet that companies like Google and Amazon, with their focus on accurate voice recognition, will be sniffing around the tech.